Natoli Engineering is quickly becoming the leader in R&D tablet presses with this next-generation rotary tablet press. 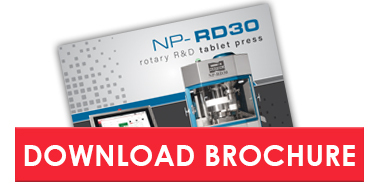 Designed to help solve formulation and scale-up challenges, the NP-RD30 rotary R&D tablet press replicates the design and functionality of a production press. The turret velocity of the NP-RD30 can reach that of production presses, meaning dwell time can be more accurately established during research and development. Five rolling casters allow for easy mobility. While designed to meet the needs of research and development teams, the NP-RD30 could be used as a small tablet production press. 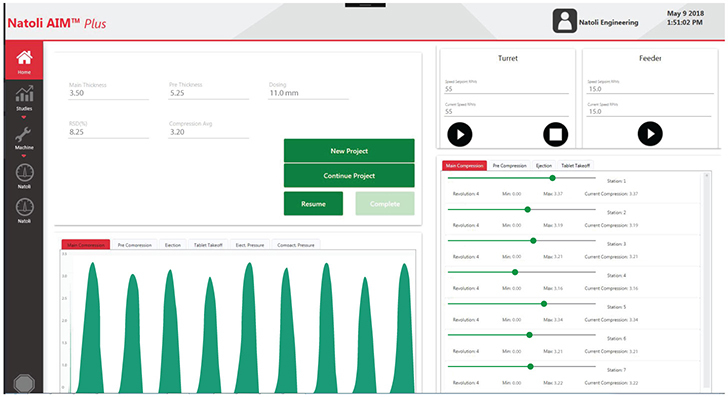 Get your product to market faster with the data acquisition, analysis, and scalability features of the NP-RD30! 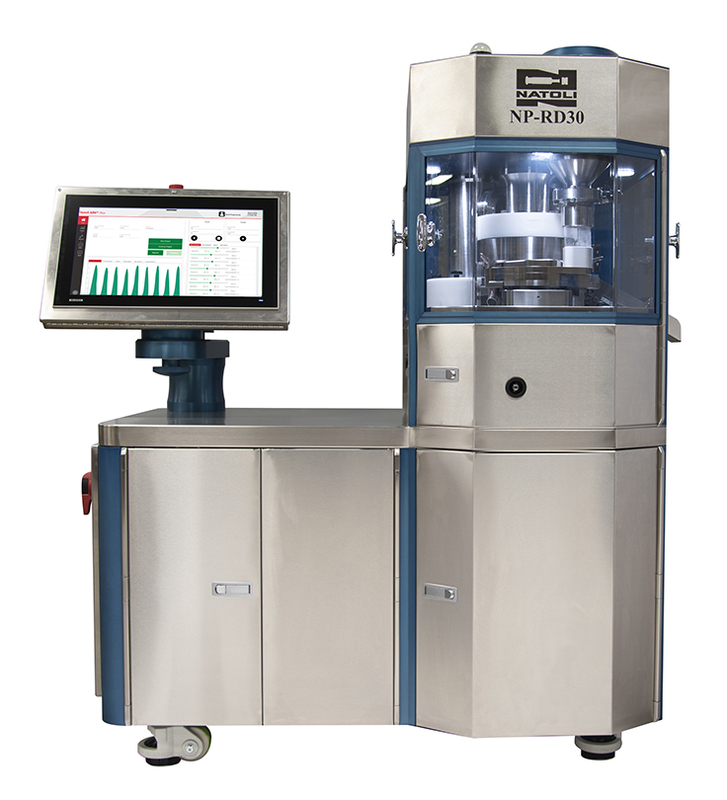 The NP-RD30’s integrated AIM™Plus data acquisition and analytical software is designed to ease formulation and process development and minimize production issues during scale-up. The Natoli AIM™ Plus main data screen provides an easy-to-interpret visual interface for quick assessment of formulation performance. Operator can control press speed and quickly view minimum and maximum pre-compression, compression and ejection forces in real time.